Cute Little Girl Does Not Want To Eat Vegetables, Kid Refusing To Eat Healthy Food Vector Illustration On White Background. Lizenzfrei Nutzbare Vektorgrafiken, Clip Arts, Illustrationen. Image 119079339. Standard-Bild - Cute Little Girl Does Not Want to Eat Vegetables, Kid Refusing to Eat Healthy Food Vector Illustration on White Background. 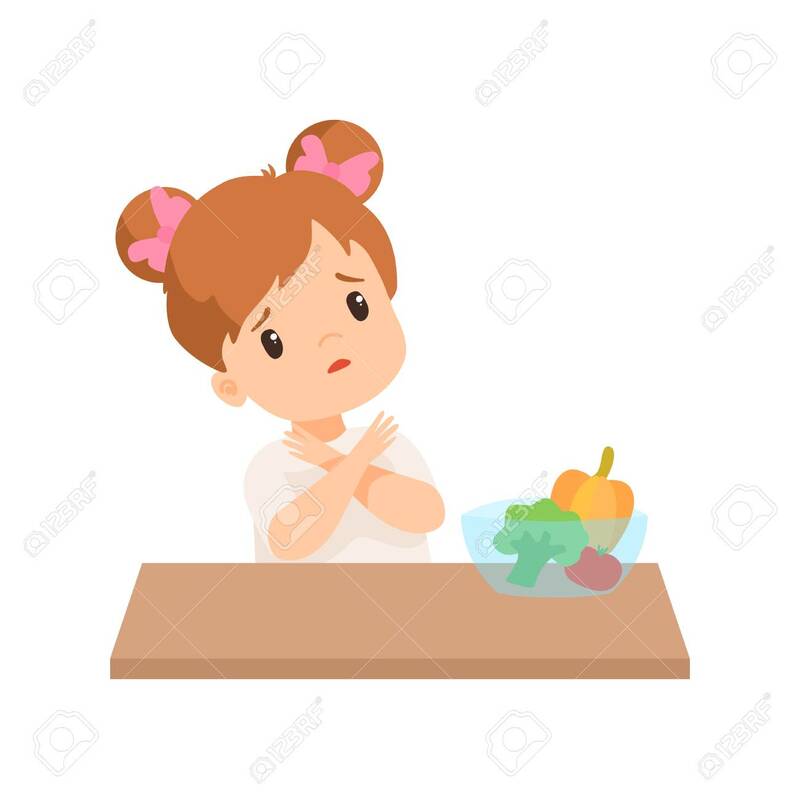 Cute Little Girl Does Not Want to Eat Vegetables, Kid Refusing to Eat Healthy Food Vector Illustration on White Background.